There's been some recent news that has made some waves in the book world. Namely, the CEO of Barnes & Nobel suddenly resigning this past July. This of course has made the news sources explode with articles about the death of bookstores and the potential end for the last remaining national chain. So the news continues to look grim for book lovers right? One can throw an internet rock and hit dozens of articles obliquely or overtly predicting the death of all bookstores everywhere. "Amazon! EBooks!" are two of the typical cries, predicting dire consequences of a world without bookstores. And yet, the truth about the future viability of bookstores are not rooted in Amazon's ambitions or the customer's desire to be rid of all those pesky heavy paper-based items. The future of Firefly and every other bookstore, including B&N, is rooted in being a great retail store. Like any other retail business, there has to be a reason for customers to be here. Maintaining the focus on what we as booksellers can do really well, is critical to our success. Gone is the age where books, nominally considered a luxury item, could be found only in the classic Ye Old Book Shop. There are some of these classic relics around; generally found under the classification of "3 Ds"; Dark, Dirty and Disorganized. They can be fun to browse, and there are generally (often overpriced) treasures to be found. Some of the 3-D stores are the result of decades of book acquisition (book store owners being notorious hoarders). Often they are stores that opened 25-35 years ago (or more), never really got on the computer bandwagon, and certainly never bothered to seriously change the way they were doing business. These are the stores that we see disappearing every year. The owners get worn out, fed up, or just see the change in sales and write off the venture as the result of a disappearing market. They blame Amazon, Barnes & Nobel and the Degradation Of America as reasons it's All Gone Wrong. Some exceptions might include specialty shops that have built a long-standing position within the antiquarian trade. They are often stores that established themselves decades previously, and have slowly moved along with the times, mostly by building a solid online presence. The changing face of the book industry is rooted, however, not in the idea that people are reading less, or that books are going out of vogue. Point in fact, people are reading more than ever. Changing factors include the rise of e-books certainly, but most importantly, the book as an affordable and accessible commodity. 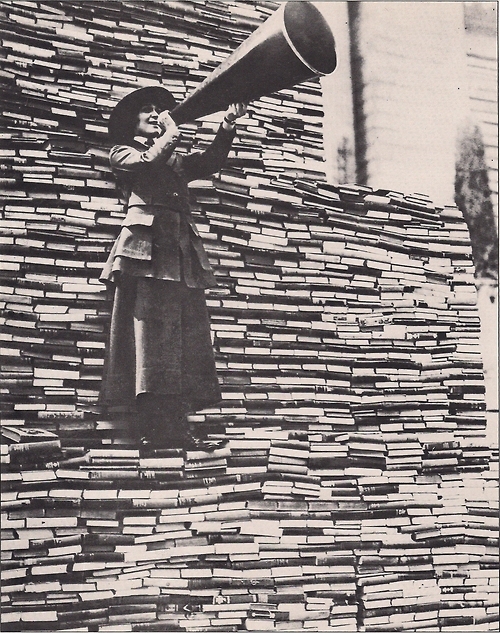 One could argue that there have always been a mass-consumable market for books. Examples include Pulp novels, book club editions, dime-paperbacks and the rise of the Mass-Market edition (also at one time predicted to the be death of bookstores). Other factors have come into play that have reduced barriers to book purchasing and changed the essential nature of the bookstore and it's marketplace. But time was, these "cheap books" were a sub-set of the market, while the rest of the book market remained relatively unchanged. Consider that over the last 25 years, the growth of the internet and Amazon, nationwide chains of bookstores offering discounted volumes by buying wholesale in bulk, the online used book marketplace driving down prices worldwide, the growth of the Young Adult market (closely tied with Hollywood), and the rise of electronic formats (eBooks and MP3s) have all contributed to the availability of books for an ever-growing and expanding marketplace. Changes over the last 25-50 years illustrate how sections of the marketplace have been evolving, with a trend toward appealing to a more generalized audience. Examples of significant growth include cookbooks, self-help books, popular figure biographies, and genre fiction. Recently Young Adult fiction has come into it's own, bringing a wealth of new titles and writers. The Harry Potter novels, in the United States since 1998, are one of the most renowned and significant examples. Indeed, over the course of 10 years, children who started reading Harry Potter and the Sorcerer's Stone at 7 or 8, were graduating High School as the series concluded, and are now just exiting college. In almost 15 years, Young Adult novels have become the fastest growing segment of the marketplace, with huge cross-over appeal between adult and younger readers. Prices have adjusted; a 1970s new hardback title that retailed at $13 would be $70 in adjusted dollars. In 1985, a $13 hardback price would be closer to $30 today in adjusted dollars. That same book might only be $20-$25 retail today. Used bookstores 25 years ago had it comparatively easy. Even at 50% off, they're making enough to pay the rent, have employees ($3.35 being the minimum wage - $7.04 in 2012 adjusted dollars) and purchase more books. With little competition for the local market of customers (no internet) maintaining a profit margin took less effort than today. The classic trope of the lone bookshop employee, reading a book behind the desk, maybe shelving a few books here and there, would seem to be a pretty good life to most people, looking from the outside. Anyone who's ever worked in a bookstore knows that's not really accurate. Like any other retail environment, you have to turn over stock, keep things clean and organized or risk losing customers. Bookstore ownership has always been a struggle. That was true 25 years ago, or even 50 years ago. The romantic notions of being a customer picking your way though piles of books on a quiet rainy afternoon to find that 1st edition Hemingway seems to be a persistent fantasy among book-lovers. That's a fantasy that has, for many, suffered something like broken-heart syndrome in recent years because those wonderful, disorganized stores are all seeming to disappear. But book stores aren't really going away. For 2012 the ABA (American Booksellers Association) reported 40 new members. Additionally, while the membership roles dropped to a low of 1400 in 2009, they are once again on the rise, with new breeds of independent and small-chain book shops. They're armed with advanced and powerful inventory and point-of-sale systems, and offering more services and products than ever. They've diversified their offerings, and come to the marketplace ready to run a real business. So what does Border's collapse and Barnes & Nobel's troubles really mean? A big part of understanding the puzzle is realizing that for both companies, many of their stores are/were profitable. However, for publicly-traded companies, profit without growth makes investors nervous particularly when facing the juggernaut which is Amazon. Both companies have hired CEOs without book-selling experience, and asked them to focus on growth and technological solutions rather than keeping the focus on the store fronts. Borders sank massive amounts of capital into a distribution system, but kept the internet part of the business in the hands of their competitor, Amazon. B&N sank enormous revenue into the Nook, a good product but with lackluster results that never really dovetailed into their bookselling business. B&N has some deep thinking ahead if it wants to survive. Fortunately, it does have the 700+ college bookstores and the last major national chain of store-fronts. The store business has been doing fine, so the question might be "why not just refine that?" One proposal would be to divest themselves of the Big-Box-Store model. Focus on being smaller scale, well-stocked but not overstocked and recruit knowledgeable and passionate staff. In other words, imitate what the independent stores are doing successfully now. Leonard Riggio, Chairman and Founder of B&N, is back in charge of the company, and there have been questions on whether the company will go private. We wait with bated breath. In the meantime, not standing still, independent stores continue to open. The future for independent bookstores won't, and can't be built by depending on a "Shop Local!" movement. That such a movement exists is certainly news to gladden the heart. And we love events like the Berks County Best Kept Secret Tours that have highlighted all the great local stores our area has to offer. But the key is not in counting on the goodwill of customers to shop our store just because they're trying to buy local. Its about who we are, what we offer and how well we conduct ourselves as merchants, that instills that loyalty in our customers and defines what we are as a business. So how are book stores doing? Pretty good, considering. Books are still considered "discretionary spending", with customers cutting down on purchases during lean times. Indie book stores have made great strides making sure that there are reasons for people to come, holding more events, offering more services, and creating more organized stores. And nothing that Amazon does will ever replicate the raw expertise of your average book store worker. At it's heart, a bookstore is about service, as much if not more so, than it is about retail. If B&N can take a page from that philosophy, they too can thrive. UPDATE: So it looks like Riggio is NOT pursuing re-acquisition of B&N at this time. Instead of separating off the Nook business from the storefront, they are going to cut back instead. Oy vey. The investors aren't any happier with it either. We still maintain that the local book store model is the way to go. We can do a lot more for our customers than push the latest gadget at them.